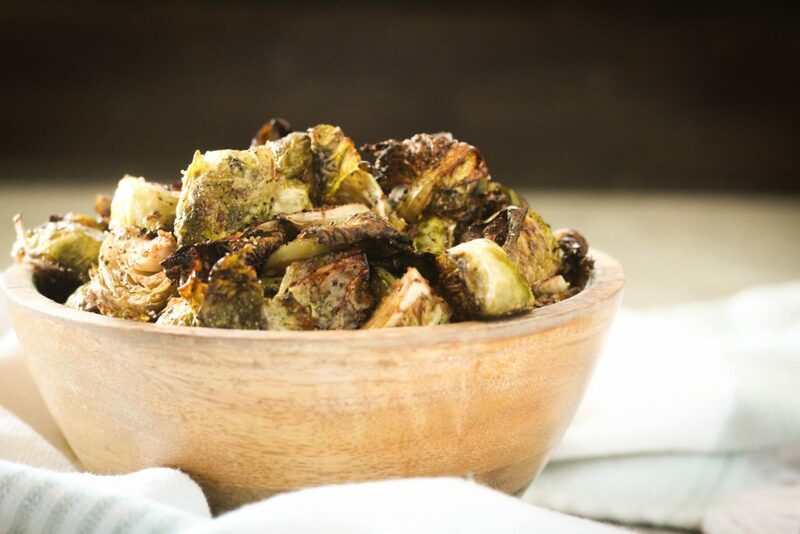 These Dijon Roasted Brussels Sprouts are good for you and tasty with the perfect combination of simple ingredients. Perfect for a family dinner or any quick weeknight meal. Who knew at my age I’d be requesting Brussels Sprouts every day. And by requesting. I mean talking to myself at the grocery store. My teenage self would have laughed at myself. 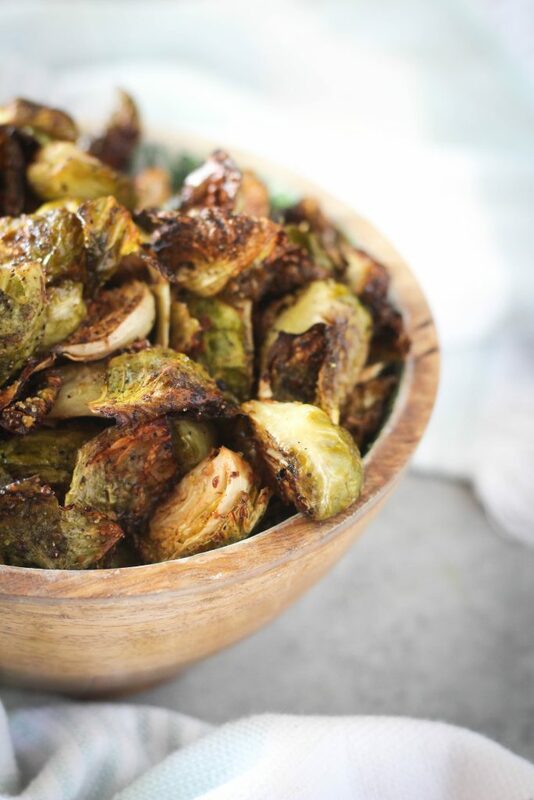 I don’t think I even heard of Brussels Sprouts until I was in my 20s. Now when I see them on a menu, that’s the side I’m choosing. And I love that my family loves them as much as I do. When I first started making them on a regular basis, I added them to a holiday menu. After preparing them I asked my mom and dad if they liked them to see if they wanted them on their plates and they immediately said yes. My sister too. Who knew?! Since diabetes runs in our family, I’m also always trying to find ways to make healthier for us meals. Even with a diagnosis of diabetes, there are still a lot of great foods you can eat! This Dijon Roasted Brussels Sprouts recipe from the You Can Have It! cookbook by Chef Devin Alexander was the first thing that caught my eye because I knew it was simple enough to have any weeknight and would taste great. And I was not wrong. I even came home for lunch one day and made these as a quick side to take back to my coworkers. With a few ingredients, you can transform this vegetable into something the whole family will love! There are tons of great diabetic friendly recipes in this cookbook so be sure and pick it up for a gift or for your family. I’m gifting one to my sister! There are already so many flavorful recipes I’ve already earmarked to make as soon as possible. denise | addicted2recipes.com (from Chef Devin Alexander's You Can Have It! Preheat oven to 400 degrees. Line a medium baking sheet with parchment paper or nonstick foil. Trim the ends of the Brussels Sprouts and remove any tough or yellow outer leaves. Cut in half. In a small glass bowl, whisk together olive oil, vinegar, and mustard until well combined. 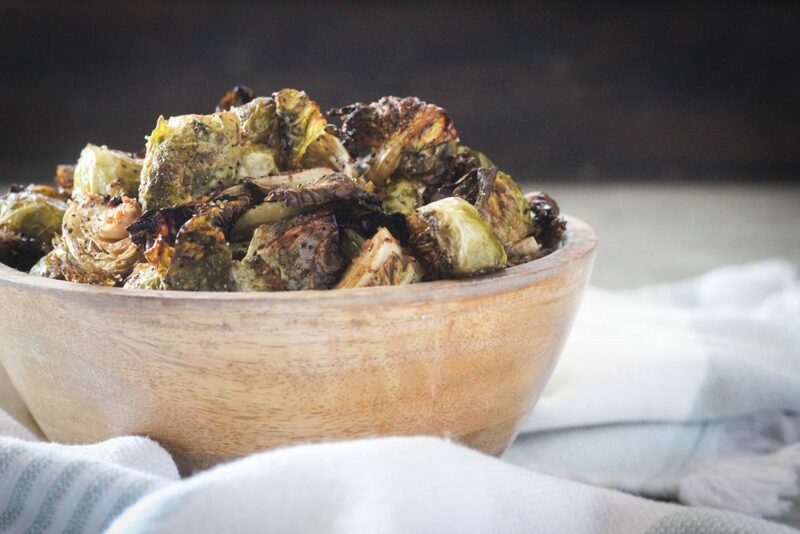 Toss in Brussels Sprouts and mix until well coated. Season well with salt and pepper and continue to toss. Spread sprouts on the prepared baking sheet in a single layer. Place in the oven and roast for 10 minutes. Stir to brown evenly and lightly mist with the spray. 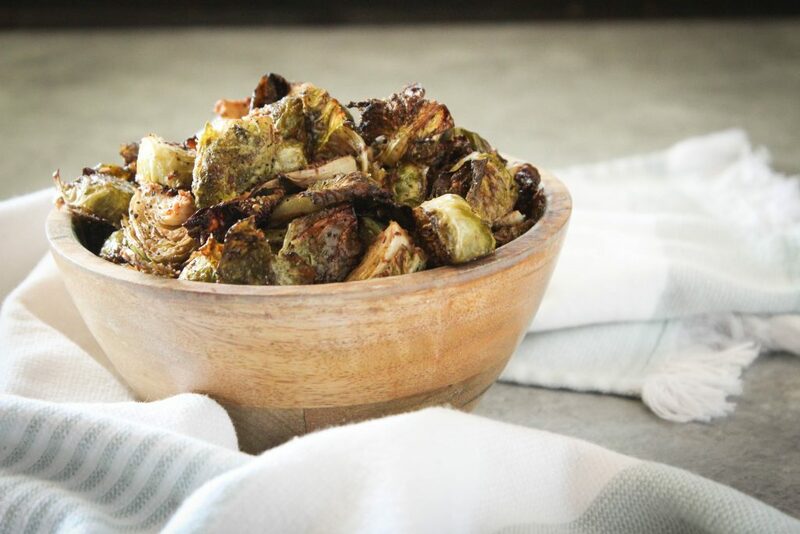 Continue baking until the sprouts are crisp tender and lightly browned in spots, about an additional 10-20 minutes. (I like mine crispy). Note: I was given a copy of the book from the publisher for an honest review. 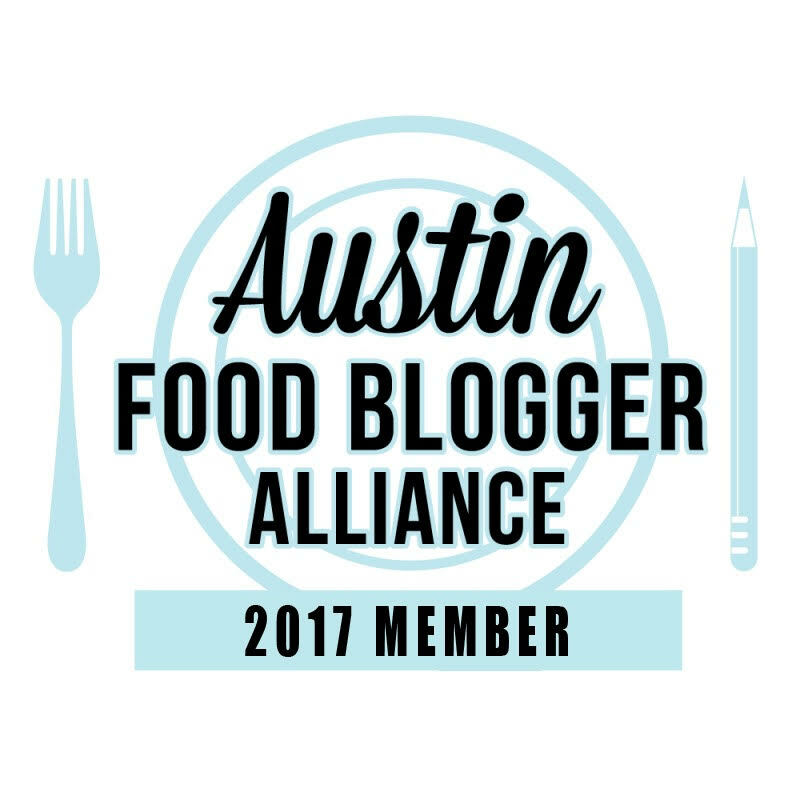 There is an affiliate link to the cookbook. That just means if you purchase through that link, Amazon pays me a teeny tiny commission at no cost to you. That will help pay for the hosting fees for the blog so thanks!